The Electronic Points Box is responsible for controlling the Pro-Mag 44’s energy. Not for use with the Pro Mag 12/20. The magnetic pickup in the generator delivers the trigger signal while the Box takes care of the rest: namely the long duration spark and quick rise time. 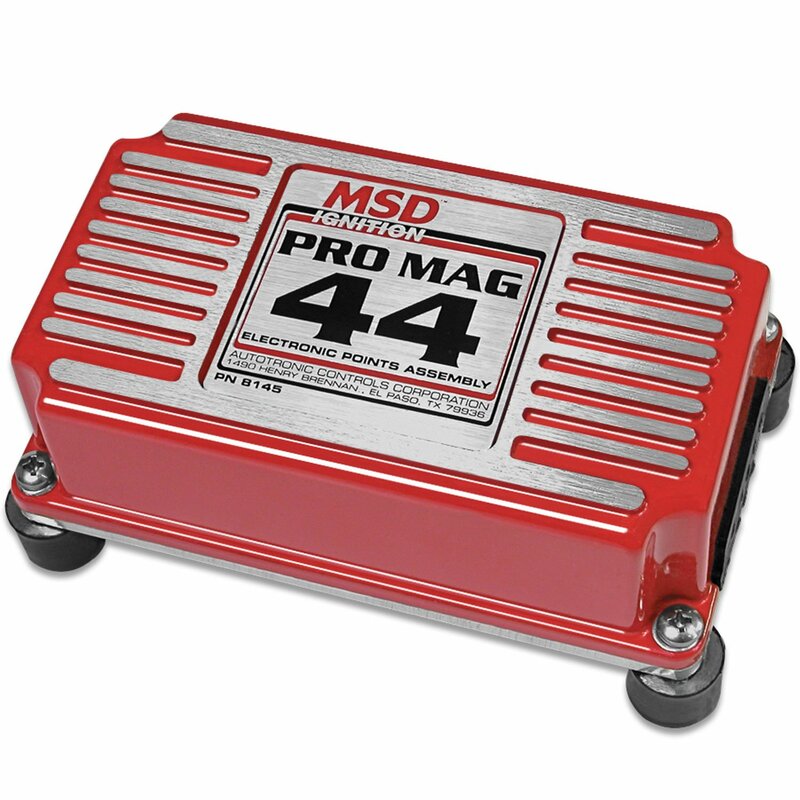 The MSD electronic circuitry releases the power of the generator to the coil instantly and at full power. The coil instantly produces an incredible shot of voltage to ionize the plug gap. The current then takes over, ensuring that the nitro-methane is ignited! The Electronic Points Box keeps the electricity flowing across the plug for a full 26° of crankshaft rotation, ensuring complete combustion. A strong cast aluminum housing provides a solid mounting foundation for the electronics, as well as an excellent heat sink. For protection against 300-mph vibrations, the circuits receive a heavy-duty coating of Humi-Seal compound. RPM Modules must be purchased separately.